It’s safe to say that fake tan has become a regular thing within my beauty regime as I just absolutely love the boost of confidence it gives me. Not only do I feel like I look half a stone lighter, I also just feel like I look healthier and i’m definitely not the only one! 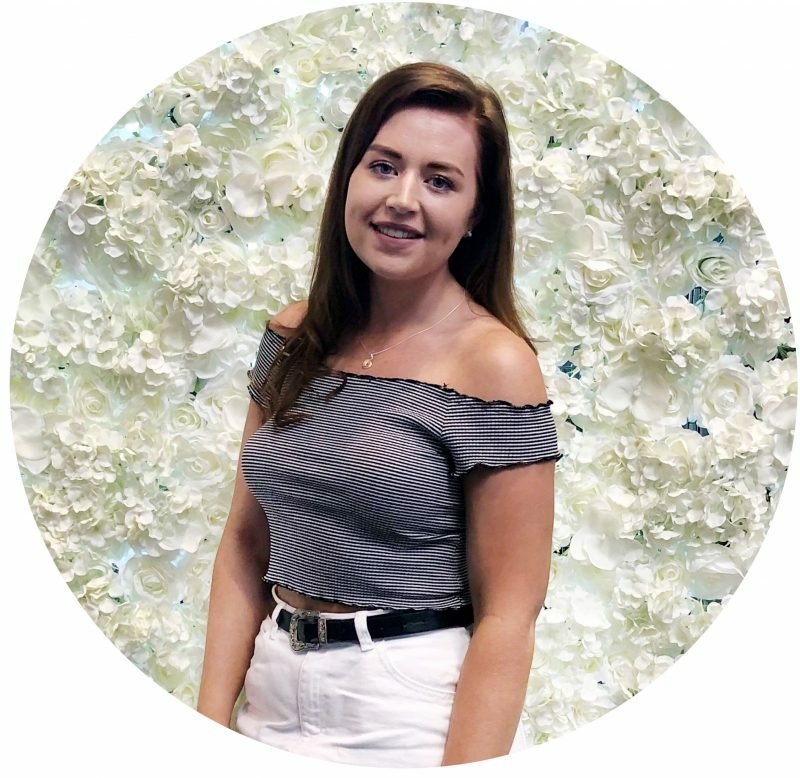 Having said that, I do find that prepping my skin to either make or break a tan and I thought i’d share some of favourite products to use, to get my skin tan ready! Now don’t get me wrong, i’m not one of those girls that exfoliates within an inch of my life and then slathers my body in a tub of moisturiser but I have learnt over the years that a tan always looks better and lasts longer if you’ve given your skin a little bit of tlc. Coffee scrub is a product I’ve heard and seen a lot about over the last twelve months and it has always intrigued me to see whether or not it’s just a beauty con, or if it really works. 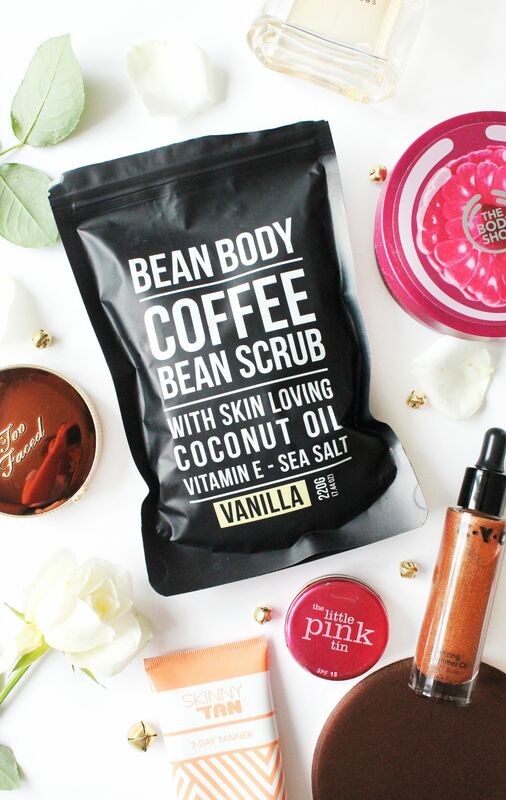 Recently I’ve been giving the Bean Body Vanilla Coffee Scrub* (£14.95) which is essentially a bag of ground coffee with added coconut oil, pink rock salt, sugar, cocao and vitamin e oil of which are all said to help benefit the skin. Caffeine is known to stimulate blood flow to help reduce the signs of eczema and stretch marks. Whilst the sugar and salt are great for exfoliating the skin, and removing any acne and blemishes. The remainder of the ingredients are great for hydrating, protecting and nourishing the skin, all of which my skin is always in need of and so far I’ve been loving using this coffee scrub. Although it can be quite messy, I find it exfoliates my skin like no other product, but doesn’t leave it feeling irritated or dry like most body scrubs out there do. If like me you’ve been intrigued by coffee body scrubs and are looking to try one out, i’d definitely recommend the Bean Body range as they have a variety of different scents/flavours all of which have different benefits! Once i’ve given my body a good scrub with the coffee scrub, i’ll do the basics like shaving however I don’t like to use shaving creams as I find my skin can be quite sensitive to them and often react quite bad. So instead I opt for a body butter and a firm favourite of mine have got to be The Body Shop Body Butters (from £6). I’m not too fussy on scents, but I find if you lather the body butter with a small amount of water and apply it to your skin, I find that after shaving my skin feels so soft and not dry like a shaving cream would. Another alternative i’ve heard people use is conditioner, but I’m yet to try this myself. The last bit of prep I do prior to applying tan, once i’m out of the shower or bath i’ll dry my skin off and i’ll then apply small amounts of vaseline to any areas that I know tan can cling to my body. The one i’m currently using is the Superdrug Little Moisturising Lip Balm (£1.49) but any will do if i’m honest, and essentially applying this to any areas that tan can cling to, such as your ankles and knees, will stop it from clinging and it’s definitely the best bit of tan prep that I could have ever learnt. So those are the few little steps I take to prep my skin before fake tanning! I also spoke about my current favourite tanning product a few weeks ago, of which is only £3. So make sure you check out that post if you’re a tan addict like myself. What steps do you take to prep for fake tanning?